As with other new parks in general, there seems to be a lot of confusion out there about the $50 million that was recently allocated within DC’s capital budget for parks in NoMa. First, it’s conventional wisdom at this point that upzoning NoMa without requiring any dedications of open space was “flawed.” That said, it probably seemed like a reasonable decision at the time. Nobody expected the area to develop quite as quickly as it did, or with as many residents as it did. (Office workers only require residual park space.) Besides, DC was land rich and cash poor, and thus didn’t have the capital to purchase even what seems now to be relatively cheap land; now, we’re relatively cash rich and land poor. Regret’s easy in hindsight. Now, where did this $50 million come from? Yes, it’s now been set aside in DC’s capital plan, to be paid out over several years, and those capital funds come from general taxation. But, in another sense, it’s a thank-you to NoMa for the plentiful — and lucrative — new development that it’s brought to the District. Way back in 2011, the NoMa BID and city councilmembers proposed a tax increment financing (TIF) district for NoMa. The TIF would have captured $50 million from the property taxes that NoMa properties paid, diverting it from the general fund to a BID-administered fund to pay for local parks. That’s a lot of money, sure, but consider that, by 2012, NoMa was paying $49 million each year in additional property taxes (over 2006 levels). Under a TIF, only NoMa taxes would pay for NoMa parks — although it’s true that government spending is theoretically fungible. 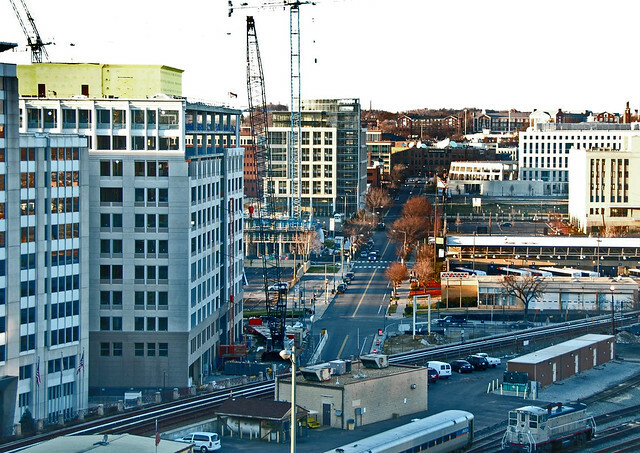 DC’s CFO had concerns about the TIF, which they outlined in this testimony to the Council. Their two key complaints centered on accountability of the BID-administered funds, and an odd feature of DC’s governance: its self-imposed debt cap. By diverting general property tax revenues, the CFO argued, the proposed TIF could jeopardize the way DC’s debt-to-income ratio is calculated, and push the District past that magic (and, again, self-imposed) line. With that in mind, the Council declined to pass the proposed NoMa TIF legislation, and the NoMa BID instead pushed to include the parks within the city’s general capital budget. Mayor Gray did exactly that in 2013, adding the $50 million to his FY 2014 budget. Subsequently, the Council adopted the 2014 budget. So, yes, NoMa did get $50 million in tax revenue to pay for parks. However, it did so by paying the city far more than that in advance, and by threatening to withhold future tax revenues. Until your neighborhood can raise similar funds from its own development projects — as the Yards and the Wharf have done, for example, or as Georgetown Waterfront did from the neighborhood’s deep pockets — you can’t necessarily expect the same outcome for your neighborhood. One more note about local parks: it appears that NPS (which isn’t funded through local value capture) is aware of local trails’ safety shortcomings, including the “Peter’s Point” junction I’ve previously complained about. This entry was posted in megalopolis, public space. Bookmark the permalink.